As I alluded to in my 28 week bump update, it’s no secret that I’ve had a recent hankering for baking sweet breads. I think it all stems from the 5 lb bag of blanched almond flour that I just purchased. Typically, I make or buy unblanched almond flour, so this blanched bag is a real treat. 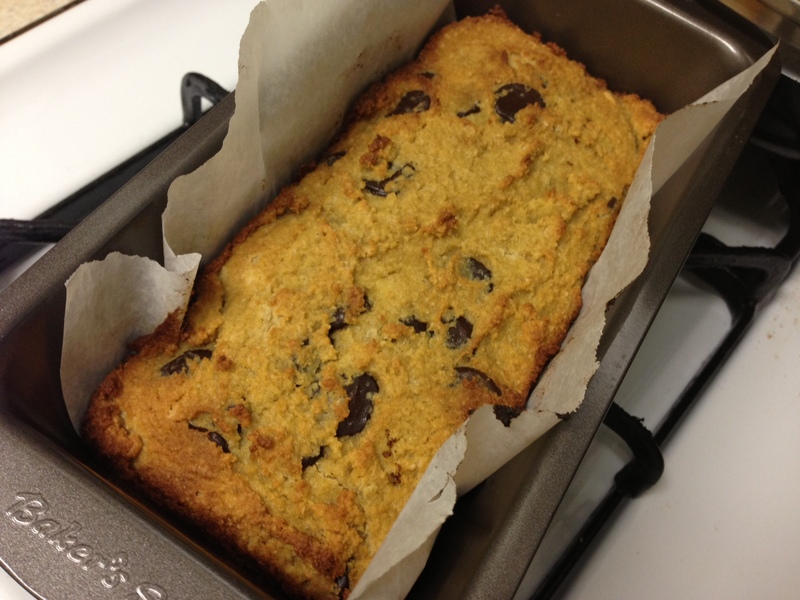 Soon after I received my almond flour, I was on the hunt for some paleo sweet bread recipes when I stumbled upon a paleo banana bread recipe from Peanut Butter Runner. 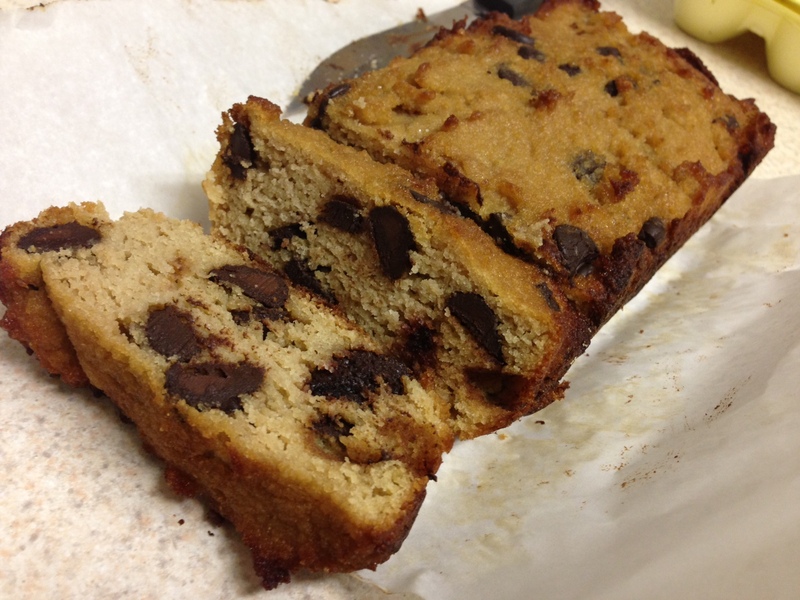 It was so good that I used her recipe as a starting point for chocolate chip loaf bread. It was super tasty, and I’m planning on making a couple loaves of it and the banana bread to freeze for postpartum snacking. 2. In medium mixing bowl, whisk first five dry ingredients. 3. In small mixing bowl, whisk next five wet ingredients. 4. Add wet batter to dry mix and whisk until smooth. Batter with be thick. 6. Pour into greased or parchment-lined loaf pan, and bake for 45 to 50 minutes. It tastes amazing hot out of the oven topped with butter or coconut butter!